An Austrian based global health care company has offered to partner with Zambia in order to upgrade and expand the Cancer Center in Lusaka. 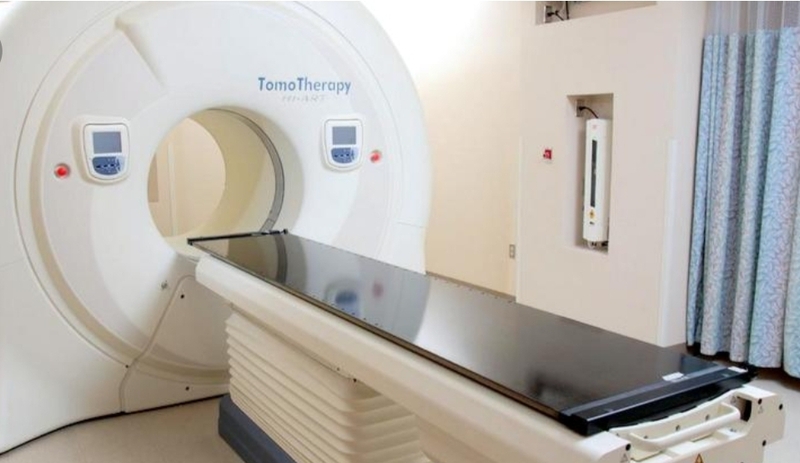 AME International, the Vienna based company with a stellar record of similar work in more than 70 countries believes once expanded and brought up to optimum specs, less cancer patients in Zambia would die needlessly, as the case currently is. The cost of treating cancer, once the upgrade is done in Zambia would also drastically reduce therefore saving the government money from evacuating patients and direct the saved money to other priority areas. This is according to Zambia’s Ambassador to Germany His Excellency Ambassador Anthony Mukwita who also over-sees Austria from Berlin. President Edgar Lungu is a known open advocate against needless cancer deaths and any other deaths that can be avoided in Zambia according to official records and has personally helped cancer patients in the past. The President has done this due to his own personal empathy largely due to his Christian beliefs. The worrying Zambian statistics are obtained from the International Agency for Research on Cancer (IARC) which also acknowledges Zambia’s advantage of having its own National Cancer Disease Hospital established in Lusaka some 12 years ago. “Our mission in Berlin has already communicated the upgrade and rehabilitation proposal to the relevant office and we await a response,” said Ambassador Mukwita. AME has implemented similar upgrades or built from scratch, cancer hospitals in Europe, Asia, Africa and the middle east according to Managing Director Heinz Messinger who is also Zambia’s Honorary Consul in Vienna. “We are seeking a meeting at the highest level of government in Zambia via the embassy in Berlin to realise this dream of reducing the deaths from cancer as soon as possible,” said Messinger, the influential businessman and diplomat. Mr. Messenger said resources for the project, if President Lungu accepted would be part grant and part soft government loan at zero interest rate guaranteed by the Austrian Credit and Export Bank known by its acronym OeKB. AME has a record of rehabilitating some 75 hospitals globally with an ‘A rating’ feedback and could be in Zambia as soon as Zambia consents that it wants to reduce cancer deaths. Because there are few cancer hospitals in Africa, Zambia could be a leading treatment hub for cancer in the region and conversely earn lots of money from the services said Ambassador Mukwita. President Lungu has in the past shown open contempt towards losing Zambian lives where the deaths can be avoided. He said more details on AME could be found on their website link www.ame-international.com . ISSUED BY KELLYS KAUNDA FIRST SECRETARY PRESS AND PUBLIC RELATIONS ZAMBIA EMBASSY IN BERLIN, GERMANY. Caption: Amb. Anthony Mukwita file image and an illustration of ultra-modern cancer equipment.